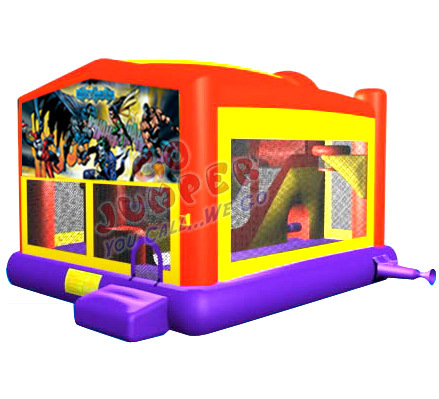 This Batman 5 in 1 Combo Jumper has all you can get from an Inflatable in one place. The Kids will Jump, Climb, Slide, go through the obstacle course, and play using the basketball hoop. This Batman 5 in 1 Combo Jumper is a great match for your Batman theme party. Price: $186.00* (was $207.00) limited time offer!